Please contact the facilities to check which activities are providing and their timetables. We at present have the following Outdoor Pools in Cumbria, but we are always grateful for any corrections or contributions. Get in touch via our contact type. Looking for Swimming Pools? Many of them belong to gyms or sport centers which also offer lessons. Traveling to Cumbria? This is the ideal spot on the internet to find locations to swim in Cumbria. Each day you are not swimming you're losing precious time to increase your expertise a be a far better swimmer! No more excuses!. Are you on holiday and would like to preserve fit and healthful? 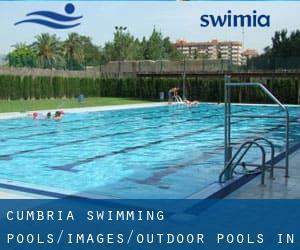 Swimia.com provides you the easy and quickest strategy to uncover pool near Cumbria. These are the Outdoor Pools in Cumbria other users have reported. Are you a local and your pool just isn't listed? Contact us to ADD IT. It's no cost! Swimming is usually a great idea to help keep your body active throughout your visit to Penrith (Cumbria), or perhaps if you are a local. 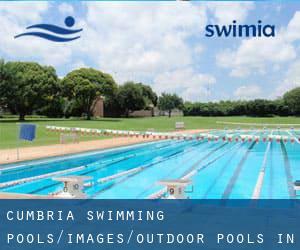 Swimia helps you to find your closest Swimming Pool in Penrith. Let us let you know a secret to switch off when you're in Whitehaven: just pick out a Swimming Pool in Whitehaven and plunge into the water! There's no more powerful strategy. Whereas Kendal is one of the six most populous cities in Cumbria with nearly 29.468 residents, you shouldn't miss that one if you're going to Cumbria. Without a shadow of a doubt, swimming in Barrow would be the ideal approach to unwind right after work. Take a couple of minutes to browse Swimia's catalog to find a Swimming Pool in Barrow. Holding an estimated population of 72.633, Carlisle is among the most important cities in Cumbria. Check all the Pool in Carlisle and its surrounding region. It's difficult to visit Cumbria without having dropping by Workington (with 20.618 residents). Currently Swimia is showing you all the Swimming Pool in Workington along with the closest pools situated in its vicinity. East Acton Lane , Acton , London - West , England , UNITED KINGDOM (Postal Code: W 3 7HB). This sports center provides 25 meters x 11 meters, 6 lanes, Outdoors. Contact information for this Swimming Pool such as phone number and e-mail address are number. 1 Thames Valley Park Drive , Thames Valley Business Park , Reading , England , UNITED KINGDOM (Postal Code: RG 6 1AD). Swimmers like you reported 25 meters x 10 meters, Indoor/Outdoor. Unfortunately we do not have the e-mail address of this Swimming Pool, but we can provide you with the phone number. Drayton High Road , Hellesdon , Norwich , England , UNITED KINGDOM (Postal Code: NR6 5DU). Swimmers like you have reported 25 meters x 18 meters, 3 lanes, Indoors. Also, you will find 20 meters x 8 meters, Outdoors. Just in case you desire to make contact with this Swimming Pool before dropping by, we only know the phone number. High St. , Hampton , London - West , England , UNITED KINGDOM (Postal Code: TW12 2ST). This sports center provides 36 meters x 14 meters, 6 lanes, Outdoors. Contact information for this Swimming Pool such as phone number and e-mail address are number. 161 Banks Rd , Sandbanks , Poole , England , UNITED KINGDOM (Postal Code: BH13 7QL). Among all the activities provided by the center, for anyone who is keen on swimming you will enjoy 17.5 meters x 6.5 meters, 1.1 meters - 2.2 meters depth, 1.1 meters - 2.2 meters depth, Outdoors. Just in case you want to contact this Swimming Pool before dropping by, we only know the phone number. Oakfield Place , Clifton , Bristol , England , UNITED KINGDOM (Postal Code: BS 8 2BJ). This sports center offers 25 yards, Outdoors. Contact details for this Swimming Pool such as phone number and email address are number. Vale Park , Park Street , Aylesbury , England , UNITED KINGDOM (Postal Code: HP20 1DX). This great and large sports center lets professional swimmers like you enjoy 25 meters, 8 lanes, Indoors. Additionally, within these facilities you can try 20 meters, 4 lanes, Outdoors. Phone number and e-mail address are number for this Swimming Pool. 269c Woodstock Road , North Oxford , Oxford , England , UNITED KINGDOM (Postal Code: OX2 7NZ). Few days ago a frequent user of this center told us they offer 25 meters x 8 meters, 3 lanes, 1.5 meters uniform depth, 1.5 meters uniform depth, Indoors. Furthermore, they keep in good conditions 20 meters x 8, Outdoors. For this Pool, only phone number is number here.